Ray Strothman formed Strothman and Company in February 1983. Under his leadership, the Louisville, Kentucky-based firm has grown steadily, and is now ranked as one of the largest CPA firms in the region. The firm now employs over 70 professionals and serves several thousand clients on an annual basis. 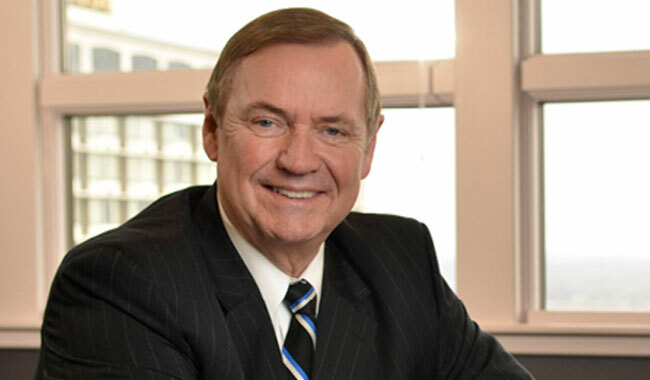 As President and Chairman, Strothman plays an integral part in the firm’s management. Ray’s passion is to be a trusted advisor for the clients of the firm. He has experience in all areas of public accounting, providing financial statement preparation, and tax and management advisory services, for business owners, business investors and nonprofit organizations. Strothman brings a tremendous amount of energy and enthusiasm to each of the firm’s client relationships. Ray’s perseverance, drive for success, and a passion for excellence are the cornerstone of his business. Ray and Strothman and Company have received many honors and awards, including the Alfred P. Sloan Award for Business Excellence in Workplace Flexibility (2008, 2009, 2011, 2013), Business First Fast 50 (2007, 2008, 2014), We CARE Awards Finalist (2008, 2009, 2010) and Winner (2013), Partners in Philanthropy Winner (2012, 2013, 2014), Inc.Credible Award (2008), American Heart Association Gold Achievement for a Fit-Friendly Worksite (2014, 2015), and 2019 Best Places to Work in Kentucky. A self-made man, community advocate, consummate volunteer and passionate leader, Strothman continues to ‘pay it forward’ in both his personal and professional life. Ray Strothman’s high standards began early in life when he attended and graduated from St. Xavier High School and Bellarmine University in Louisville, Kentucky. He graduated with honors and on partial college academic scholarship. Ray received the Kentucky Society of Certified Public Accountants’ award for passing the CPA exam on the first attempt. He credits his Christian-based educational foundation with helping him develop the discipline and principles he utilizes and applies throughout his life and to those he touches. Ray was recognized by Bellarmine University as the Outstanding Accounting Alumnus (2000) and the Alumnus of the Year (2015). A native of Louisville, Ray and his wife, Carolyn, currently reside in Anchorage, Kentucky. Together they are the proud parents of three daughters and two sons and the proud grandparents of four boys and six girls. In his spare time, Ray is actively involved in community, charitable and professional activities and in Bible study. He also enjoys travel, photography, cooking, ballroom dancing, deep sea fishing and sports.